Here's what your favourtie Bollywood celebrities are tweeting. As Hurricane Sandy wrecks havoc in the US, Bollywood celebrities tweeted their prayers for those affected. 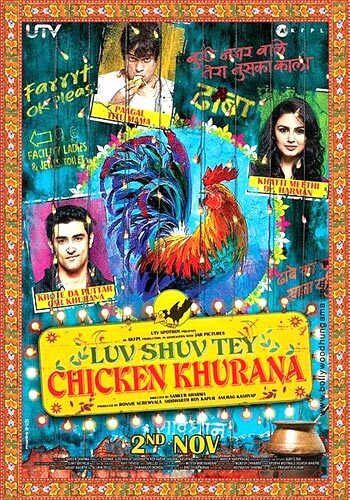 Bollywood stars, who attended the premiere of Luv Shuv Tey Chicken Khurana in Mumbai last night, praised it quite highly. Directed by the debutant Sameer Sharma, the film stars Kunal Kapoor and Huma Qureshi and will release on November 2. 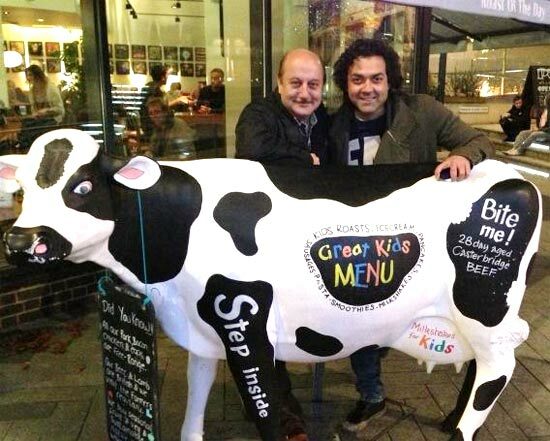 Anupam Kher, who returned home after the completing the shoot for Yamla Pagla Deewana 2 in UK, shared a picture of him with Bobby Deol from the last day of shoot (above). 'Last day of my shoot of Yamla Pagla Deewana 2 at Leicester with Bobby Deol and holy cow. Traveling back to Mumbai. :)' he tweeted. Kher met up with Hollywood director Ang Lee, who is in Mumbai to promote his film Life Of Pi, and gifted him his book. 'In Mumbai. Met Ang Lee, presented him a copy of The Best Thing About You Is YOU. Wished him great luck 4 LIFE OF PI. :)' Kher added. 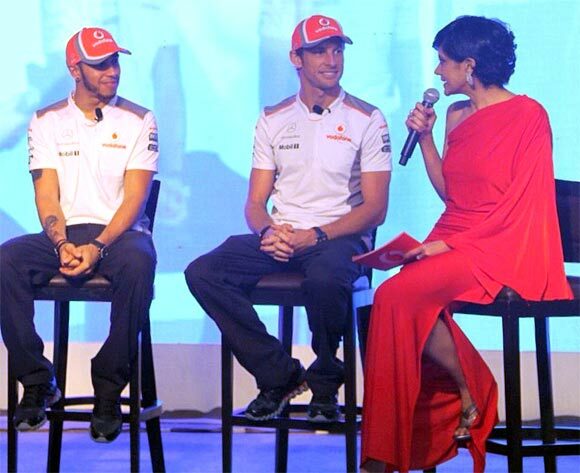 Mandira Bedi hosted a special event at the recently concluded Formula 1 in Delhi, and tweeted some pictures with the F1 champions Lewis Hamilton and Jenson Button. "I tried my best to grill @Jensonbutton and@LewisHamilton ! Not sure how successful I was!" she tweeted.